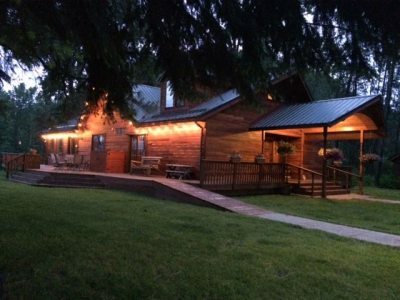 Ruby Creek Lodge is a rustic bed and breakfast located on Highway 20 between Cusick and Ione. We are right on the Pend Oreille River and also on the Selkirk Loop. We offer our guests beautiful themed rooms and a full gourmet breakfast. We have 5 guest rooms in the lodge, and 2 bunkhouse rooms with bathrooms that sleep 4 guests each. We also have an event center with a full kitchen that is available for weddings, family reunions, parties and special occasions.